John Lee has served on the ABL-SF Board of Directors since its founding in 1980 and currently holds the position of Chairman Emeritus. John is a practicing attorney, having spent most of his career as in-house counsel at Wells Fargo, with his last position as Assistant General Counsel before retiring in 2001. Since 2002, John has served as the General Counsel & Secretary for Westlake Realty Group, Inc., a privately-owned real estate company. He received a B.A. from Rice University and a J.D.-M.B.A. from Stanford University. John maintains a passionate interest in music and collects toy trains. Mike Pyon is a financial advisor. He is passionate about helping individuals, families and small business owners plan for a secure financial future. Additionally, Mike is actively involved in mentoring and developing new advisors. He received an MBA from the Mason School of Business at the College of William & Mary and a BA from the State University of New York at Albany. Originally from New York City, Mike has lived in the Bay Area for the past eight years and currently resides in San Francisco with his wife Sonny and their two children. 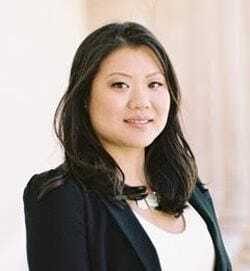 Cindy Vu Garcia is a Vice President and Portfolio Analyst Manager for the Principal Investments group at Wells Fargo Bank. In her current role, she is responsible for recruiting and training junior analysts, with the goal of developing and deploying human capital to meet the needs of various portfolios, covering different asset classes and sector teams. Previously, she was a Research Analyst for the Principal Investments’ Corporate Credit Portfolio, and was responsible for analyzing, monitoring, and managing a portfolio of assets comprised of high yield and investment grade bonds, leveraged loans, and preferred equities within the energy and power sectors. Cindy has over 12 years of financial services experience. She received her Honors B.S. in Finance, with an Economics Minor, from the University of Utah. Originally from Salt Lake City, Utah, Cindy relocated to the Bay Area 11 years ago and currently resides in San Francisco with her husband, Antonio. John Chiang has served on the Board of ABL-SF since 1985 and is the Treasurer. John is employed as the Chief Financial Officer at Asian Health Services, a non-profit community health center located in Oakland Chinatown, since May 2011. John was formerly the Chief Financial Officer of Pacific National Bank and also served as Secretary to the bank’s Board of Directors. John’s career history includes accomplishments as a senior financial leader in top tier banking and insurance firms. John began his professional career as a CPA specializing in the banking, financial services and real estate industries. John is very active in his community, having served as the Mayor and as a member of the Piedmont City Council for eight years before he termed out in 2014. John also serves on the boards of a number of non-profit organizations, including the Piedmont Educational Foundation, the Piedmont Council of the Boy Scouts of America, and the Board of Trustees of Piedmont Community Church. John received a B.S. degree from UC Berkeley in Electrical Engineering and Computer Science and an M.B.A. from UCLA in Finance and Accounting. John enjoys traveling, hiking, wines and playing recreational golf. William Chung is a Process Improvement Manager at Pacific Gas and Electric Company. He has 11 years of experience in the energy sector helping PG&E achieve its renewable energy goals and improving the way work gets done day by day. William is also an active leader within PG&E and within the community. He has held various leadership positions in the company, served in various PG&E Employee Resource Group boards, and has been active with various nonprofits supporting youth development and/or professional and leadership development. William moved from Southern California to the Bay Area for his undergrad and never left since. William has his B.S. in Mechanical Engineering and his MBA both from the University of California, Berkeley. In his spare time, he enjoys traveling, photography, snowboarding, and trying new things with family and friends. Keith Koo was a Director and Head of Technology Vendor Management for Intuit, Inc. and had global responsibility for all of Intuit’s Technology partners. Keith helps develop partner strategy and alignment to Intuit’s CIO, CTO and Business units’ strategy and vision. Keith joined Intuit after holding a similar role at Cisco Systems. Previously he was a Director of Business Planning at Hewlett Packard during HP’s acquisition of Mercury Interactive. Prior to that, Keith was a Sr. Director and Chief of Staff to the CFO at Mercury Interactive responsible for all of Corporate Development integration. Keith has also held various leadership positions in Acquisition Integration, Divestitures, Infrastructure planning and Vendor Management. Keith holds a B.A. in Organizational Behavior from the University of California at Davis. In his free time he is a parent volunteer with Fremont’s Chinese Immersion Program and enjoys food, travel, photography and keeping up with technology industry. He is passionate about accelerating Asian awareness, community, and leadership in an increasingly digital world. 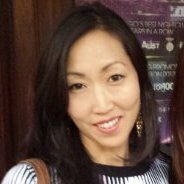 Lina Park currently serves as the Corporate Communications and Development Manager at Asian Health Services. She brings more than 18 years of experience in both communications and development in both the private and public sector. Lina began her career at Edelman Public Relations where she developed and implemented communications strategies to build brand and product awareness. She then moved into the nonprofit sector where she has launched various initiatives to improve branding and engagement, including content development, website redesign, membership program, major gift initiatives, events, capital campaigns, and planned giving program. Lina holds a B.A. in English from Emory University in Atlanta, Georgia and a master’s degree in Nonprofit Management and Leadership from the University of San Diego. She enjoys eating good food throughout the Bay Area and strives to work it off with bootcamp, runs, and yoga. She also doesn’t pass up a good book or a nice glass of wine. Victor has over 20 years of experience in the financial industry in the San Francisco Bay Area, along with being a Senior Adjunct Professor since 2013. Currently he is the Vice President, Branch Manager for Bank of the West in downtown Oakland. He has held various senior positions amongst major institutions, such as Washington Mutual, Wells Fargo, Comerica Bank and First Republic. He also serves on the board of the Asian Business League of San Francisco and The Presidio Dance Academy, and in the past The Natural World Museum and Museum of Craft and Design. He graduated with an Executive MBA from Golden Gate University in 2004 and BA in Management and Accounting from Sonoma State University in 1996. Victor is an avid restaurateur, loves to travel, cook, read, run and spend time with his wife and 2 daughters.